Dr. Rennie Waldron earned her veterinary degree from the Virginia-Maryland Regional College of Veterinary Medicine in 2011. She then went on to complete a one-year rotating internship in small animal medicine and surgery at the Purdue University College of Veterinary Medicine. After that, Dr. Waldron completed a three-year residency program in neurology and neurosurgery at the North Carolina State University College of Veterinary Medicine. She became board-certified in July 2015. 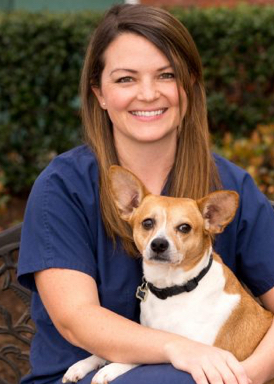 Dr. Waldron and her team started the neurology service at Upstate Vet in September 2015. Her special interests include surgical management of intervertebral disc disease, emergency and long-term treatment of seizure disorders, and management of meningoencephalitis. Outside of work, Dr. Waldron enjoys running, playing tennis, hiking, going to the beach, and Hokie sports.